CERTUS+, (CERTUS Management Consulting, LLC) is holding an exclusive 1 day workshop for Project Managers titled ‘Project Manager+ :How To Create A Personal Brand & Achieve Career Success’ on July 30th 2016 at Lawrence Technological University, Southfield, Michigan (Metro Detroit) from 8.30am-5pm. The firm plans to offer this workshop as well as other Project Management workshops throughout the year in various locations. CERTUS+, a one of its kind, advisory firm that utilizes a generative approach and operates at the intersection of strategy & execution, is holding an exclusive 1 day workshop for Project Managers on the topic “Project Manager+ :How To Create A Personal Brand & Achieve Career Success” on July 30th 2016 at Lawrence Technological University (LTU), Southfield, Michigan (Metro Detroit) from 8.30am-5pm. Atul Kalia, co-founder of CERTUS+ and instructor of the workshop stated, “The workshop will cover 4 key topics. These are-Networking skills; Use of LinkedIn; A new framework to accelerate Innovative thinking; and Adaptive Execution - The art of getting things done while facing shrinking timelines, reduced manpower and resources, increased complexity and constant change in scope. PMI’s learning library is replete with articles, conference papers & other artifacts that explain why expertise in these topics is essential for a successful project management career.” PMI (Project Management Institute, Inc.) is a Global authority on Project Management profession, with its World Headquarters near Philadelphia, USA. Kalia, who was a speaker for PMIGLC Spring Symposium 2016 on the topic “Innovate or perish: A new Paradigm for Project Management Success”, further explained that unemployment rate in Michigan is extremely low (between 3-4%) and employers have a hard time finding Project Managers. At the same time the number of projects to be completed, keeps increasing. This mismatch between more work and not enough PM’s can hurt local companies' output as well as PM’s, causing them professional stress & burnout due to long working hours. PM’s who can do more in the same or less time and/or resources by learning these skills can add a unique value to their employer and at the same time can reduce their work related stress. Atul, who spoke on the topic, “Project Management, Change Management and SELF” at the PMIGLC dinner meeting in April 2016, stated that the workshop will help those, who want to become indispensable for their organization by learning the skills that employers seek in project managers. This in turn will enable a successful and financially rewarding career for them as project managers. CERTUS+, an Ann Arbor, MI based firm, provides business advisory services to mid-large size clients in media & entertainment, logistics, transportation, education, airlines, insurance, health care, automotive and diversified manufacturing industries. These services are offered in Talent Management, Strategy Execution & Data Driven Dynamic Decision Making. The Co-Founders have a combined 40+ years of experience in delivering projects successfully for the corporate world. 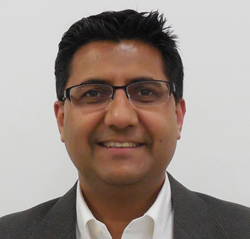 Atul has an MS in Mechanical Engineering from University of Maryland, College Park & MBA in Corporate Strategy from Ross School of Business, University of Michigan, Ann Arbor. He has 20+ years of experience in Talent Management, Project Management, Product Development & Process Improvement. Paul has over 20 years of professional experience in the areas of complex program management, technology, lifecycle management, new product creation and launch, customer experience design & process re-engineering. Paul has an MS in Design Optimization, from New Jersey Institute of Technology and an MBA from Ross School of Business.